Vauxhall Astravan Mk4. 3" stainless steel tail pipe, rolled out. Performance Exhaust System. Producing an increase in BHP, the system is designed to give a sports sound which is a little louder than our bullit box range, and even louder than our regular oval sport box range. Vauxhall Astravan Mk5. 3" stainless steel tail pipe, rolled out. 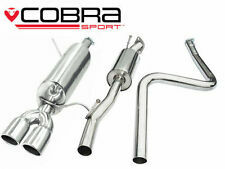 Performance Exhaust System. Producing an increase in BHP, the system is designed to give a sports sound which is a little louder than our bullit box range, and even louder than our regular oval sport box range. This will fit the Z16XEP and Z18XEP engine & system perfectly in the mk 4 & 5 ASTRA H models. 1.8L 16V Z18XEP. 1.6L 16V Z16XEP. VAUXHALL ASTRA G & H. CNC lambda boss for probe. We believe our Astra de-cat manifolds are a good value, UK made, easy fit product that gives a louder sound and more power. Vauxhall Astra Mk4 VAN. 3" stainless steel tail pipe, rolled out. Performance Exhaust System. Producing an increase in BHP, the system is designed to give a sports sound which is a little louder than our bullit box range, and even louder than our regular oval sport box range. Genuine Vauxhall Nova Sport Back Box. Originally supplied to Irmscher for the Nova Sport, our rear back box is designed to fit directly onto the genuine 1 3/4" (45mm) system. 2" (50mm) bore. 2" Tail pipe. C20XE RED TOP. NOVA CORSA ASTRA. 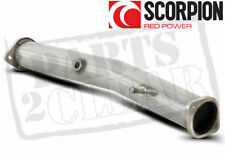 Designed for motorsport, our 4-2-1 red top manifold produces excellent mid range torque and power at high revs. The manifold fits close to the sump which makes it popular for rallying, allowing clearance for sump guards. CNC lambda boss for probe. CORSA C 1.8L 16V Z18XE. We believe our Corsa C de-cat manifolds are a good value, UK made, easy fit product that gives a louder sound and more power. DE-CAT RACE MANIFOLD. Approx 15mins to fit, after the standard manifold has been removed. Vauxhall Astra Mk4 hatchback. 3" stainless Tailpipe rolled out. Straight Pipe System, no boxes, and removes second cat. 3" stainless steel tail pipe, rolled out. Including 2nd de-cat pipe. Performance Exhaust System. Vauxhall Astra Mk4. We produce manifolds for most mk4 & mk5 Astra's with a petrol engine, as well as systems for diesels. COUPE & CABRIOLET. Will fit the following coupe and cabriolet models. 4" stainless steel tail pipe. 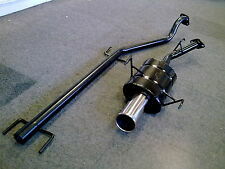 Designed to be a straight swap for the catalytic convertor on all 1.7L DTi mark 4 Astra's. 1.7L DTi DIESEL. Will fit all 1.7 DTi hatchback, van, saloon and estate models Year 98>2005. Vauxhall Astra G Mk4 VAN. FIAT PUNTO 1.2L 16V. Punto 1.2L 16V. 304 Stainless steel 4-2-1 PERFORMANCE MANIFOLD. Designed to bolt straight on taking approx 15mins to fit, once the old manicat has been removed. Heat wrap will void all warranty. MITSUBISHI LANCER EVO 7&8. Our de-cat pipes are a direct swap for the original cat, and bolt upto our 2 1/2" evo systems. Evo 4, 5 and 6 systems and de-cat pipes also available. 2 1/2" DE-CAT PIPE. Vauxhall Astra H Mk5 VAN. Will fit all mk 5 1.7CDTi models. 3" stainless steel tail pipe, rolled out. Performance Exhaust System. Producing an increase in BHP, the system is designed to give a sports sound which is a little louder than our bullit box range, and even louder than our regular oval sport box range. FIAT PUNTO 1.2L 8V Mk2. Punto Mk 2 1.2L 8V. 4-2-1 PERFORMANCE MANIFOLD. Designed to bolt straight on taking approx 15mins to fit, once the old manicat has been removed. (see last photo of white manifold). Predominantly used in rallying, our 2 1/2" evo systems are also used in other forms of motorsport. 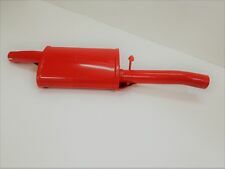 Available with a stainless tail pipe on request, the system is designed to fit onto the back of the cat, or our de-cat pipes on item number 253893556567. 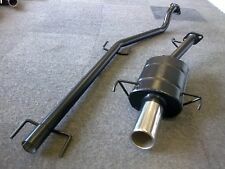 Vauxhall Astra Mk2 Ashley exhausts twin SS 3" rear sport box - unused-. Vauxhall Vectra B. (race tube and back box). Choice of tail pipes. performance Exhaust System. Producing an increase in BHP, the system is designed to give a sports sound which is relatively loud, and will improve the torque and acceleration. Z18XE & X18XE1. This will fit the Z18XE engine & system perfectly. Vectra B 1.8L 16V. CNC lambda boss for probe. DE-CAT RACE MANIFOLD. Approx 15mins to fit, after the standard manifold has been removed. Vauxhall Astra Mk4. We produce manifolds for most mk4 & mk5 Astra's with a petrol engine, as well as systems for diesels. COUPE & CABRIOLET. Will fit the following coupe and cabriolet models. 3.5" stainless steel tail pipe. 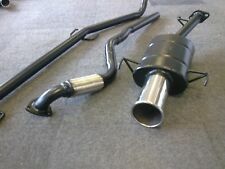 Ashley 2" Twin Box Exhaust System Toyota Corolla Twin Cam AE86 1.6 16V RWD. 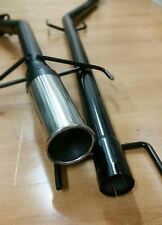 Ashley Competition Exhaust System. 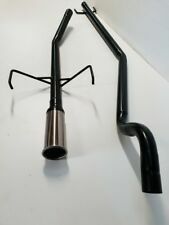 Ashley Competition mild steel exhaust system. This is a 2" Twin box system. Car Detailing (82). FIAT PUNTO 1.2L 16V Mk2. Punto Mk 2 1.2L 16V. 4-2-1 PERFORMANCE MANIFOLD. Designed to bolt straight on taking approx 15mins to fit, once the old manicat has been removed. Heat wrap will void all warranty. Aluminised mild steel tube. 1.5mm wall thickness. CORSA C Z12XEP. CNC lambda boss for probe. We believe our Corsa C de-cat manifolds are a good value, UK made, easy fit product that gives a louder sound and more power. DE-CAT RACE MANIFOLD. 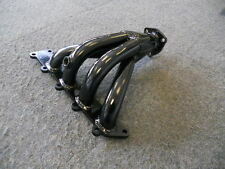 Our manifold will also fit the Z12XE. 1.6L 16V Z16XE. This will fit the Z14XE & Z16XE engine & system perfectly in the mk 4 ASTRA G models. VAUXHALL ASTRA G. CNC lambda boss for probe. We believe our Astra de-cat manifolds are a good value, UK made, easy fit product that gives a louder sound and more power. 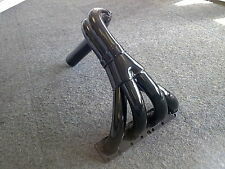 PEUGEOT 307 1.6L 16V 4-2-1 MANIFOLD. Our 4-2-1 manifold is designed to give excellent mid range torque with the 1 1/2" primaries and 1 3/4" secondaries, as well as increased power at higher revs. Suited to a 2" system, the bore size is larger than standard allowing the gases to flow correctly. This will fit the Z18XE engine & system perfectly. CNC lambda boss for probe. Corsa C 1.8L 16V. DE-CAT RACE MANIFOLD. Approx 15mins to fit, after the standard manifold has been removed. 4 into 1 de-cat manifold. Vauxhall Astra Mk4. We produce manifolds and systems for most mk4 & mk5 Astra's with a petrol or diesel engine. COUPE & CABRIOLET. Will fit all coupe and cabriolet petrol non-turbo models. Large Square tip. Aluminised mild steel mandrel bend. Straight over axle bend. 28" overall length. 6" leg length. This will fit the Z16XER and Z18XER engine & system perfectly in the mk5 ASTRA H models. This is one has 1 1/2" primaries. 1.6L 16V Z16XER. 1.8L 16V Z18XER. CNC lambda boss for probe. We believe our Astra H de-cat manifolds are a good value, UK made, easy fit product that gives a louder sound and more power. ASTRA G 1.8L 16V Z18XE. This will fit the Z18XE engine & system perfectly. VAUXHALL ASTRA MK 4. CNC lambda boss for probe. We believe our Astra G de-cat manifolds are a good value, UK made, easy fit product that gives a louder sound and more power. 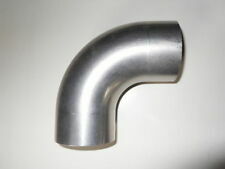 Aluminised mild steel mandrel bend. 6" leg length approx. 1.5mm wall thickness. Extensively developed and tested by a leading BMW E30 motorsport team our down pipe and 2 1/2" single box system work very well together for circuit racing, conforming to MSA regulations and noise limits. CORSA C Z14XEP. CNC lambda boss for probe. We believe our Corsa C de-cat manifolds are a good value, UK made, easy fit product that gives a louder sound and more power. DE-CAT RACE MANIFOLD. Approx 15mins to fit, after the standard manifold has been removed. Vauxhall Astra Mk4 Hatchback. We produce the full manifold and system for the hatch and coupe 1.6L & 1.8L models, with a choice of loud (1 box) or quiet-ish (2 box) systems, and a wide variety of tail pipe options. Vauxhall Astra Mk4. We produce manifolds for most mk4 & mk5 Astra's with a petrol engine, as well as systems for diesels. Will fit all 1.8L 16V models from 2001-2005. COUPE & CABRIOLET. 4" stainless steel tail pipe. Vauxhall Astra Mk4 VAN. 3.5" stainless steel tail pipe. Year 98>2005. Producing an increase in BHP, the system is designed to give a sports sound which is not too loud. PerformanceExhaust System. STRAIGHT THROUGH SYSTEM. Vauxhall Astra Mk4 Hatchback. We produce manifolds for most mk4 & mk5 Astra's with a petrol engine, as well as systems for diesels. Will fit all 1.6L 16V models from 2001-2005. 4" stainless steel tail pipe. Vauxhall Astra Mk4 Hatchback. We produce manifolds for most mk4 & mk5 Astra's with a petrol engine, as well as systems for diesels. 4" stainless steel tail pipe. Bolts onto the standard cat, which is underneath the car on pre 2001 models. 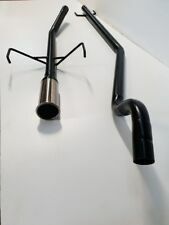 BMW E30 2.5L PERFORMANCE EXHAUST DOWN PIPES 2 1/2"
BMW E30 2 1/2" EXHAUST DOWN PIPE. Extensively developed and tested by a leading BMW E30 motorsport team our down pipe and 2 1/2" single box system work very well together for circuit racing, conforming to MSA regulations and noise limits. CORSA C 1.4L 16V Z14XE. ECOTECH DE-CAT RACE MANIFOLD. CNC lambda boss for probe. We believe our Corsa C de-cat manifolds are a good value, UK made, easy fit product that gives a louder sound and more power. Build a high performance tubular manifold in under an hour. Ideal for specials and race applications. 4 x 45mm primary bendspart built. Cutting will be required. 1 x Surface ground 1 piece laser cut head flange. Vauxhall Astra Mk4 Hatchback. We produce manifolds for most mk4 & mk5 Astra's with a petrol engine, as well as systems for diesels. Will fit all 1.8L 16V models from 2001-2005. 4" stainless steel tail pipe. Vauxhall Astra Mk4 Hatchback. We produce manifolds for most mk4 & mk5 Astra's with a petrol engine, as well as systems for diesels. 3.5" stainless steel tail pipe. Bolts onto the standard cat, which is underneath the car on pre 2001 models. Vauxhall Astra Mk4. We produce manifolds for most mk4 & mk5 Astra's with a petrol engine, as well as systems for diesels. COUPE & CABRIOLET. Will fit the following coupe and cabriolet models. Large square tail pipe.